Sunday Express – Grip Lit! The first of a new series featuring investigative journalist Olivia Wolfe, a cross between a terrier and a Sherman tank when she’s on to a good story. 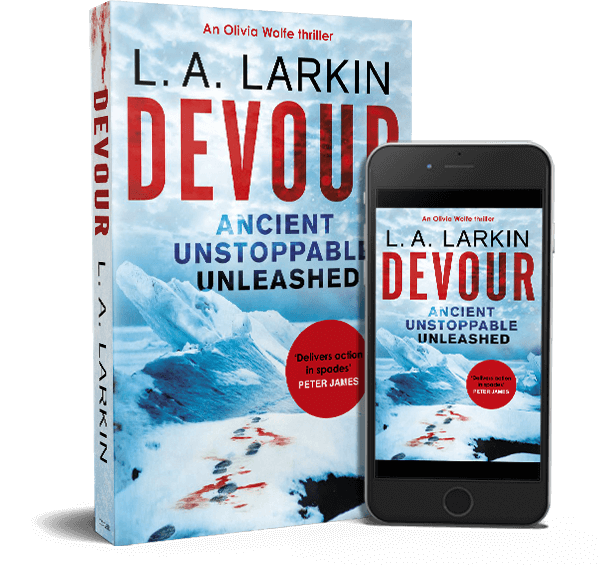 The book roams across the world but has its heart in Antarctica where ice drilling scientists find something that spells trouble for the human race if it gets into the wrong hands. Larkin rightly calculates that her readers will be having too good a time to dwell on implausibilities. Thanks so much Jake. I love your description of Olivia Wolfe. I may use that in a future novel! You can read the full article and see the other novels Jake picked, here.